The axiom is an allusion to professional organizer Marie Kondo. 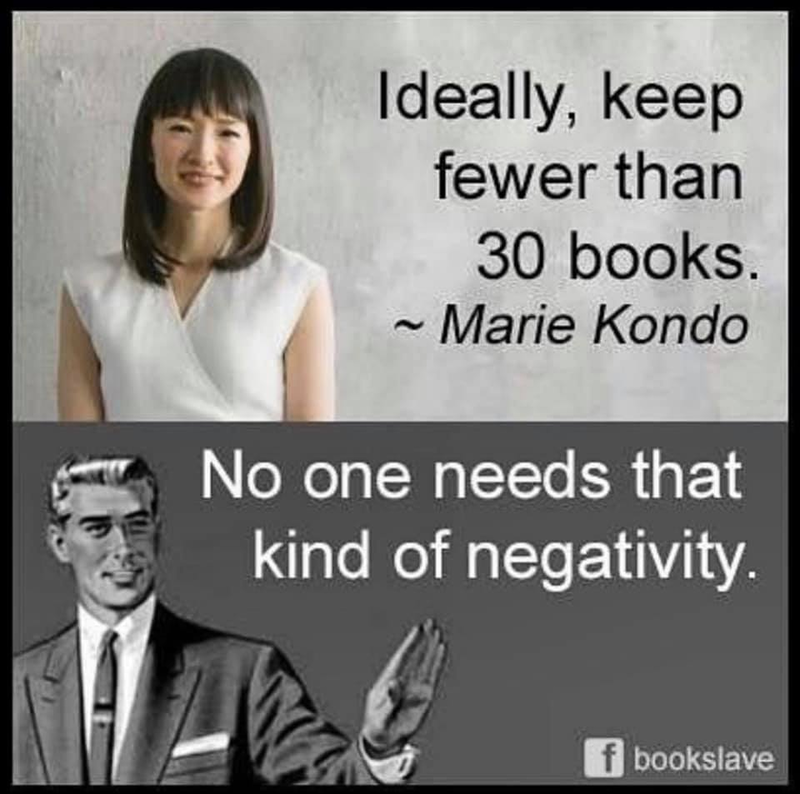 Kondo is author of the international best-seller, The Life Changing Magic of Tidying Up: The Japanese Art of Decluttering and Organizing (New York: Ten Speed Press, 2014), and now host of the Netflix sensation, Tidying Up with Marie Kondo. From what I gather, the show follows Kondo imparting her “KonMari” method to messy American householders. Kondo guides clients on tour of their home, helping them to classify objects by type, to reframe the items’ role in a balanced home, and to determine whether each object brings joy (justifying its place in the home) or no joy (leading to its removal). On the show, clients make a “ding” sound and gesture upward as they rediscover satisfaction in their possessions. Her book has been translated and even rendered in the style of manga. I don’t have much space in my schedule for staying current with the latest streaming events. 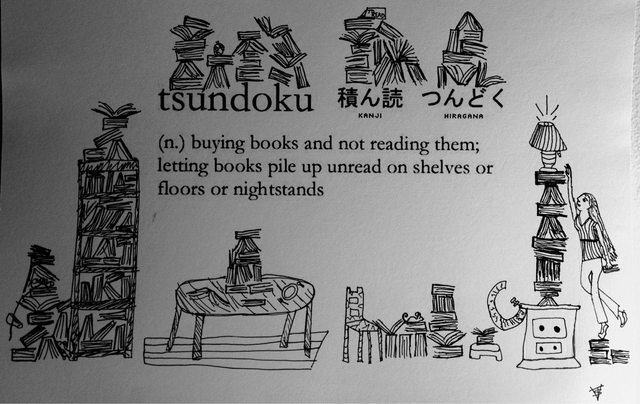 But I’ve been on Facebook enough to see that the KonMari method has sparked controversy with bibliophiles. Maybe you’ve seen variations of this meme, too. As I read her response, I started to imagine Kondo and the meme’s purveyors as exemplars of so many contests about significance. In this case, the question appears to be who loves books more. The offended book-lovers of social media correlate the size of a personal library with their devotion to books. Pierre Bourdieu’s work might push us to further identify the social capital for which these books are tender. Kondo’s point highlights some of the cultural assumptions upon which that love is dependent (cf. habitus). Were she petty, she might ask critics whether they’ve given thought to preservation efforts or whether hoarding little-read tomes keeps them from fulfilling the books’ ultimate purpose–to be read. If we are going to fetishize books as phenomena unto themselves, then what’s to keep someone from reclassifying one’s precious shelved books as the wards of an estate? Where’s the love in that? There’s a classificatory meme for everything. 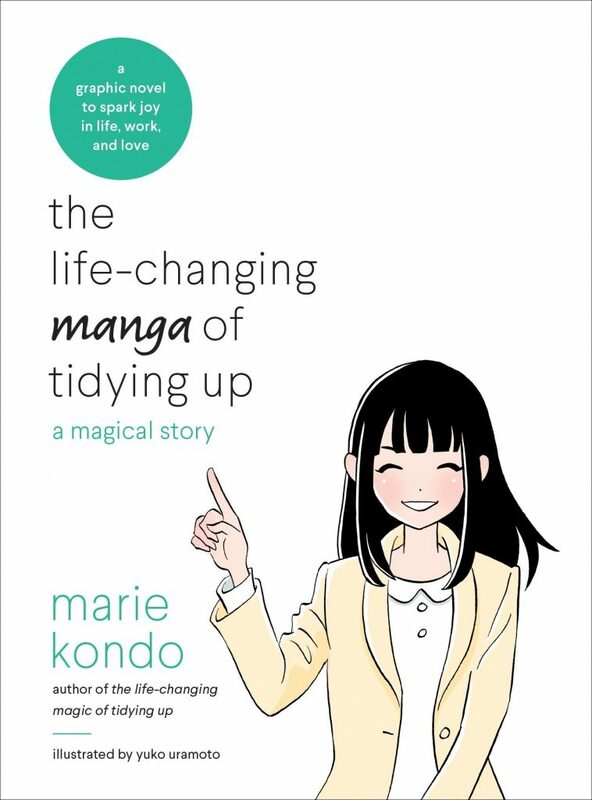 Beyond asking students to search for the place of kami on this side of capitalism, KonMari provides a chance to reexamine how there’s nothing tidy about the things we love. They have histories, contexts. politics, and significance…but we give them those things. We just don’t always enjoy remembering that. Maybe that’s the essence of culture.